RT Magazine Plus is child theme of RT Magazine. 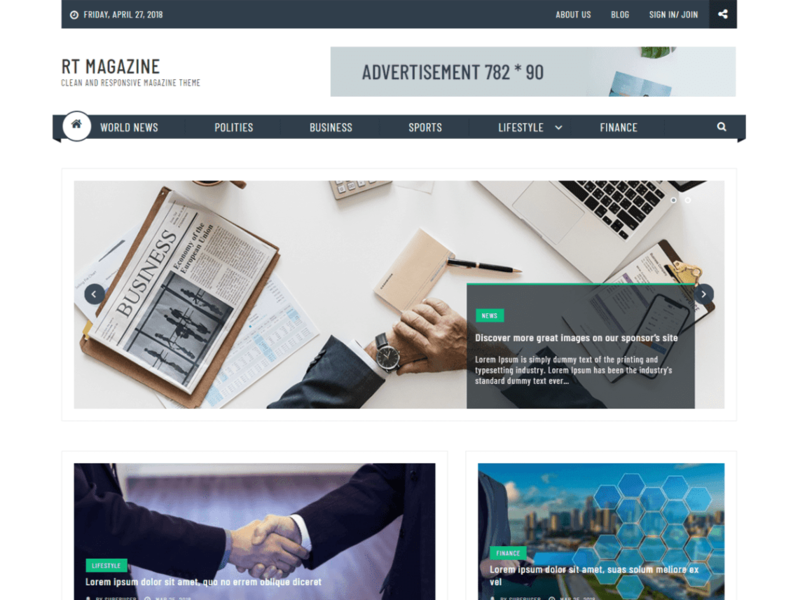 RT Magazine Plus is clean, well structured, sparkling, user-friendly, flexible, dynamic and attention-grabbing WordPress Magazine Theme with a sleek feel that’s perfect for news sites, editorial websites and online magazines. It comes up with the colorful look, built with the latest design trends and highly adjustable theme customizer that lets you customize the appearance of the theme: menu, logo, background and so on.Besides, the theme is packed with myriad features and custom widgets that are really efficient and super user-friendly in order to focus on your job with no coding skills, are some of its strong features and make your news or magazines catch everyone’s eyes and stand out to be the best among others. RT Magazine is fully responsive and looks good on all devices either mobile or desktop. Endless amounts of custom sliders, as well as carousels, can easily be deployed in an instant, showcasing your featured reviews or articles or keeping your pages dynamic with attractive image galleries.